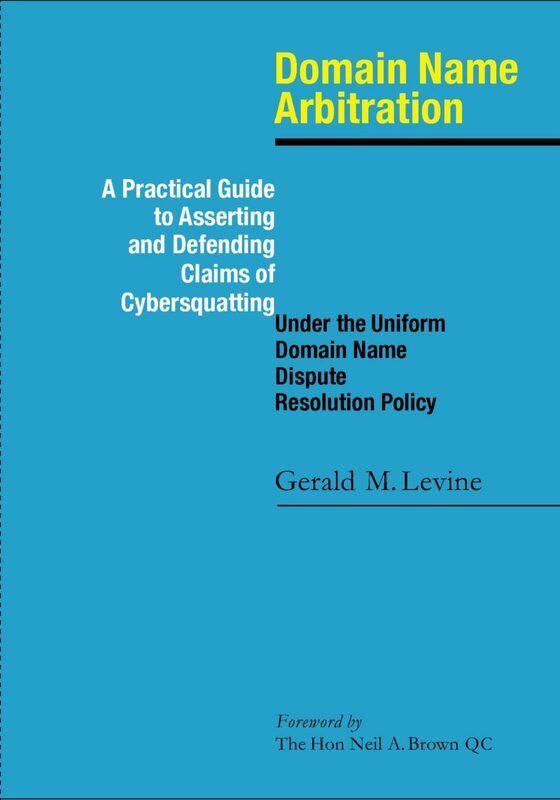 A Second Edition of Domain Name Arbitration with Foreword by Hon. Neil A. Brown QC. from Legal Corner Press is scheduled for publication December 2018. A revised Appendix A and a new Appendix B are published under the Links tab.